Connect to the world and break through any language barrier Connect to a personal interpreter by phone at your convenience, 24/7. Our pinless service makes it quick and easy to connect to your interpreter! Interpreter.com acts both as a processor and controller in regards to personal data collecting and personal data processing for our website visitors and service users. To register on our Web site, you must submit your name and e-mail address. In addition, to purchase a calling card, you must submit additional information, including your address, phone number and credit card information. This required personally identifiable information is necessary for us to process transactions for you, protect you against credit card fraud and contact you. When you register with Interpreter.com, we will ask you for a "e-mail." The e-mail you select may appear on the web site in connection with future services we provide, such as discussion forums in which you may voluntarily participate. We may publish links to other sites from our web site. Please note that Interpreter.com does not control the content, practices or policies of any other site, including what information those sites collect about you. Accordingly, we do not endorse or hold ourselves responsible for the privacy policies or information gathering practices of any site that you may link to from our site. In addition, you may choose to respond to advertisements that are posted on our web site or made available via our service or to direct marketing offers from third party sponsors or advertisers. We do not control the content, practices or policies of our sponsors or advertisers and, accordingly, do not endorse or hold ourselves responsible for the privacy policies or information gathering practices of any sponsor or advertiser who may collect information about you. Interpreter.com uses the highest security standard available (SSL) to encrypt all of your credit card and personally identifiable information while it is in transit to us. All data stored on the Interpreter.com server is protected by a secure "firewall" so that no unauthorized use or activity can take place. Although Interpreter.com will make every effort to safeguard your personal information from loss, misuse or alteration by third parties, you should be aware that there is always some risk that thieves may find a way to thwart our security system or that transmissions over the Internet will be intercepted. 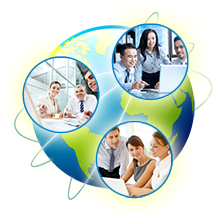 Interpreter.com provides services to people from all over the world and in doing so we do transfer data internationally. By using our website and services, you agree to any such transfer of personal data from outside your country.